Find My Workspace lists over 95% of the serviced offices & coworking space market in Hong Kong Island. Simply click Request Quote to check pricing for one office, or Add to Basket for multiple offices. This serviced office space is located in Cheung Sha Wan. The centre provides high quality modern work spaces tailored to the flexible working lifestyle of professionals and entrepreneurs. Solutions to make serviced office and co working space rental as easy, cost efficient, and transparent as possible is offered while tenants can choose membership that fits their requirement from day plans or longer. It also offers the flexibility to adapt and evolve a space, size and configuration to fit your growing business. The work spaces cater to teams of different sizes, are fully fitted and are accessible 24/7. A spacious workplace where designers and professionals meet to work in a beautifully designed environment. The comprehensive interior design material library is a central feature here, offering architects and designers access to a fully curated material collection and a great space to host a creative team or client meetings. In addition, this coworking space features a seminar room with 12 flat screen TVs use for presentations and events. Running an event that can fit more than 150 people will be spectacular as ever. An interactive community of startups huddle at the coworking space, where like minded souls connect, collaborate and create. Convenient shared working space in the heart of Quarry Bay in Hong Kong, this centre’s mission is to foster hard work, creativity and generate meaningful connections. The doors are always open and there are flexible solutions for your working requirements. As a member you have various flexible options such as either a hot desk or sign up for a dedicated desk to fully furnished private offices. As a monthly member you will have access to all locations, where you will find top internet bandwidth and friendly staff to assist you with any of your needs. There are plenty of weekly social events to attend so that you can have a chance to network and rub shoulders with cohorts. Fully equipped conference rooms are available when you need a brainstorming session or want to put on a seminar or workshop, plus there is a functional kitchenette for all your basic needs. 24 hour access, plenty of natural light along with security is available, with short term & long term membership options. This business centre provides plenty of facilities for those using the co-working space, including personal lockers and meeting rooms. Shared space is available for professionals to organise different events, including workshops and training sessions, including the use of the centre’s high-quality audio equipment and HD televisions. This space boasts on-site showers, air conditioning, a shared pantry area and 24-hour access and security – perfect for those nights where you need to stay late or those days where only being in the office early will do. 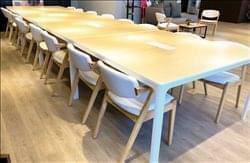 This serviced office space is located in Sheung Wan. It provides high quality modern work spaces tailored to the flexible working lifestyle of professionals and entrepreneurs. Solutions to make serviced office and co working space rental as easy, cost efficient, and transparent as possible are offered while tenants can choose that fits your requirement from day plans or longer. Flexibility to adapt and evolve a space, size and configuration to fit your growing business can also be offered. The work spaces cater to teams of different sizes, are fully fitted and are accessible 24/7. This is a new business centre which provides high quality serviced office, virtual office, conference rooms and company incorporation services. The on-site management team has over 15 combined years of experience in the flexible office industry, and they aim to satisfy your needs as a valued client, especially to provide better office solutions. Clients can take advantage of a cost-efficient, easy-to-use and professional office environment in order to build their business from the ground up. Meeting rooms are available for hire, and you can benefit from the comfortable communal areas for quick staff catch-ups or even just a break from the working day. Down to earth yet professional… charming sums it all up. 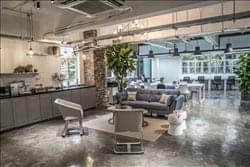 The Headquarters coworking is an elegant, professional shared office space for startups, small or established businesses, creatives and freelancers in Hong Kong. Our space is industrial, functional and inviting with a great pricing structure and all the resources you could need, located right next to Kennedy town station. Our light-filled 500 m² of office space with natural greeneries offers all the perks for both shared work areas and private offices, venue spaces, meeting rooms, reliable fast internet, social and networking events. The Headquarters has a large, diverse and friendly business community and we offer a range of flexible workspace solution to suits yours needs. Book a tour with us and discover your new work space today. The centre provide over 35 private dedicated desks to work space caters to freelancers and self-employed individuals. The coworking space is designed with Spanish and Portuguese inspiration. This coworking space suits freelancers and self-employed professionals from all industries. The central location and ease of location make it particularly appealing to people visiting Hong Kong for the first time. There is a large hot desk area along with a number of single private rooms. The centre provides CCTV, board room, IT support, WIFI, parking, comfort cooling, 24 hour access and 24 hour security as well. Right in the heart of the revitalised Southside of Hong Kong Island, you will find this space which offers the perfect creative working environment. Start your day with a killer barista-made coffee or hold a meeting of the minds in one of our designer meeting rooms. In need of a quick break or a networking session? Check out the relaxing break-out areas, created to get you energised within our inspiring community of like-minded individuals. With 24-hour access, a beautiful outdoor terrace and super-fast WiFi, this space allows you to make the absolute most of your day, by letting you decide when you’re most productive. Providing you with some fuel for success by grabbing your healthy lunch at the on-site café deli so you’re never too far from your desk when inspiration strikes. To obtain information for your selected Hong Kong Island Serviced Offices & Coworking Space, please tick the "Add to basket" box for each office you prefer and complete the form below. We will then send a detailed report via email.